After True Detective misspent its cultural currency on a dim-bulb second season and Vinyl didn't quite cash in on the promise of its expensive premiere, and subsequently had its early second season renewal revoked, it seemed as though the bottom had dropped out for high-end dramas on cable's most premium of premium channels. But HBO had an ace up its sleeve in the form of Steve Zaillian and Richard Price's stellar new crime miniseries The Night Of, which takes classic procedural cop-show tropes and examines them on the atomic level, exploring the minutiae of the legal system to such a fine degree that after the first 90 minutes, the viewer is left believing the tired conventions of the genre may have been completely refreshed. Although the pedigree that results from the participation of Zaillian and Price – whose crime novels and work on The Wire most definitely precede him – and the obvious appeal in long-form examinations of investigations, a la NPR's Serial and Netflix's Making a Murderer, are of great importance, the series, based on the 2008 BBC program Criminal Justice, had to overcome a considerable bump in the road. The pilot was originally filmed with James Gandolfini in the role of Jack Stone, a role now occupied by John Turturro. The loss of Gandolfini is still felt throughout the premiere; a lingering question of "What if?" hangs over several key scenes despite how good Turturro is in the short amount of time he's onscreen. And yet, the time needed to retool the series may have helped, as the aforementioned success of certain true crime series almost certainly whetted the appetites of an audience hungry for the kind of meticulous procedural The Night Of aims to be. 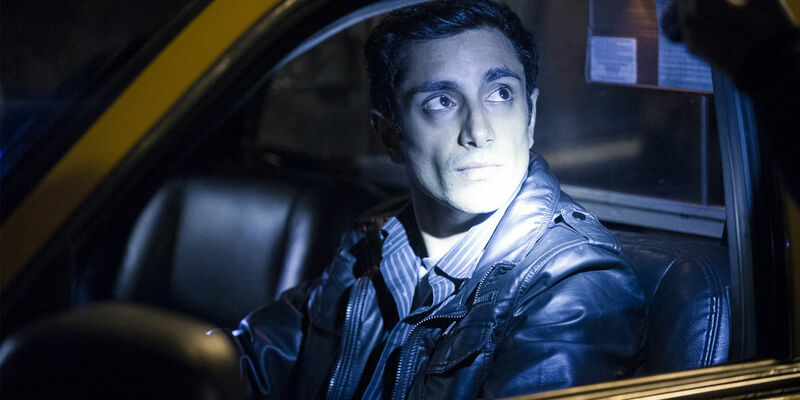 Though conceived years ago, echoes of Serial are undeniable in the storyline of Nasir Kahn (Riz Ahmed), a first-generation Pakistani American, accused of murdering a 22-year-old woman. But before things get moving, Zaillian – who directs all but one of the series' eight episodes – and Price take some much-needed time to introduce the audience to "Naz" (as he is often called), to give those watching an idea of who he is and what life for him – as both a smart young man in college and someone painfully aware of the prejudices swirling around him – is like. The attention to detail in Naz' story makes the question of his guilt compelling, even though it's not necessarily the driving force behind the series. The languorous opening, in which Naz eagerly accepts a party invitation from the basketball players he tutors, and then later shows him nervously practicing introductions on the street before, fatefully, absconding with the cab his father co-owns to drive himself into the city, play an important part in assuaging concerns over the depiction of the young woman who becomes Naz' alleged victim. From the get-go, there is a heightened quality to the way the series depicts Andrea (Sofia Black-D'Elia) and her interactions with Nasir that read as deliberate incongruity set against the exploration of the comparatively banal elements of a police investigation. It is a ridiculous sequence of events that makes it impossible to believe the subsequent impulsive and erroneous decisions made by the accused aren't the actions of a man who just committed a brutal murder. And yet the manner in which 'The Beach' plays into the strangeness of Andrea meeting Nasir, the improbability of their interactions, and the damning circumstances of her death – stabbed 22 times with a knife found in Naz' possession – affords The Night Of some leeway in terms of how it manages its fictional depiction of the truth, especially when that truth may be calculatingly stranger than fiction. By the time Nasir's night threatens to send The Night Of spiraling out of control, the series counters, or rather, pivots to begin a detailed exploration of the justice system and its many processes that are applied to someone in his circumstances. Everything that happens to Nasir will likely elicit a response from those watching, as the actions of the police become another unintended effect of the series' premiere being delayed until now. But Zaillian isn't pointing fingers or making accusations. Instead, the intent is more one of a fly on the wall to demonstrate the magnitude of the criminal justice system and, at the same time, to put a face on the various cogs and wheels that comprise the unwieldy apparatus Nasir now finds himself a part of. A considerable amount of time is devoted to administrative side of things and how communication – both poor and a lack thereof – makes the system operate at a fraction of its potential efficiency. At the same time, however, Zaillian also devotes a good portion of the first episode to a depiction of the particulars of how a murder suspect is processed. It's hard to think of another series outside of, tellingly, The Wire, that might spend so much time watching a suspect be printed, photographed, stripped, swabbed, and finally questioned. The deliberateness with which this aspect of the process is illustrated gives you a good idea of what lies ahead, as Nasir's case is investigated and he is inevitably tried. But it also alleviates the need for anyone processing his case to become anything more than a perfectly average human being just trying to do their job and then get home to their life. Slight bumps aside, there's no attempt to pin Nasir's plight on a corrupt system or a cop trying to make his quota with a slam dunk case. And in the end, that's what makes The Night Of so compelling to watch. It has all the hallmarks of a classic Law & Order-style police procedural, but because it takes the tropes of cop shows and runs them under a magnifying glass, examining them with excruciating precision, it feels exciting and different. This, coupled with fine performances from Ahmed, Turturro, and Bill Camp as detective Dennis Box, in conjunction with the commentary lurking just beneath the surface, makes The Night Of a fine example that the prestige television drama is still alive and kicking. The Night Of continues next Sunday with 'Subtle Beast' @9pm on HBO.